To the plush Institute of Directors in Pall Mall this evening for chilled white wine, tasty canapés, and a chat with the friendly people from Fred Olsen, who are launching their 2010-11 cruise brochure. After a steady programme of expansion, buying new ships and stretching them, managing director Nigel Lingard was – for the first time in several years – not able to announce that Olsen will be growing again in 2010. In fact with the retirement of the venerable Black Prince before the end of this year, capacity will be down by 10 per cent. 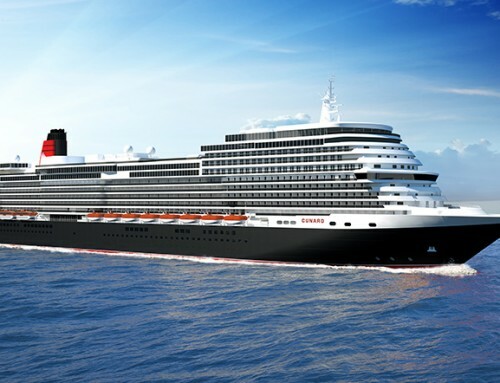 But the four remaining ships, Black Watch, Boudicca, Braemar and Balmoral, will be sailing two world voyages, and the 119 cruises in the new brochure will visit 260 different ports in 121 countries and islands. 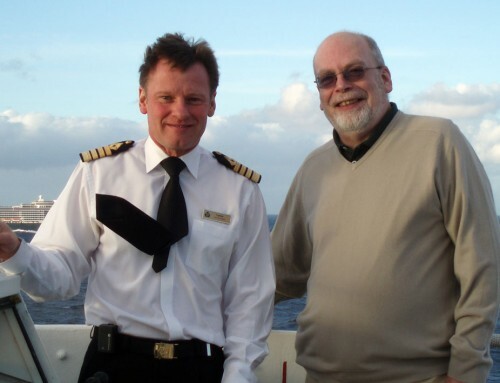 “There are still a few places on earth we’ve not visited, so Balmoral’s early 2010 world cruise will tick off the Hawaiian islands and Black Watch will visit Robinson Crusoe Island off the coast of Peru,” said Lingard. Closer to home, Black Prince’s sailings from regional ports such as Liverpool and Greenock will be taken over by Boudicca. It remains to be seen how well those real prices will hold up in an increasingly competitive market, and whether there will still be last-minute cost-cutting to fill empty cabins. But the Olsen ships have a devoted following, full of repeat passengers who sail several cruises a year.